Just as every star is unique, so are the needs of every spectroscopic telescope. 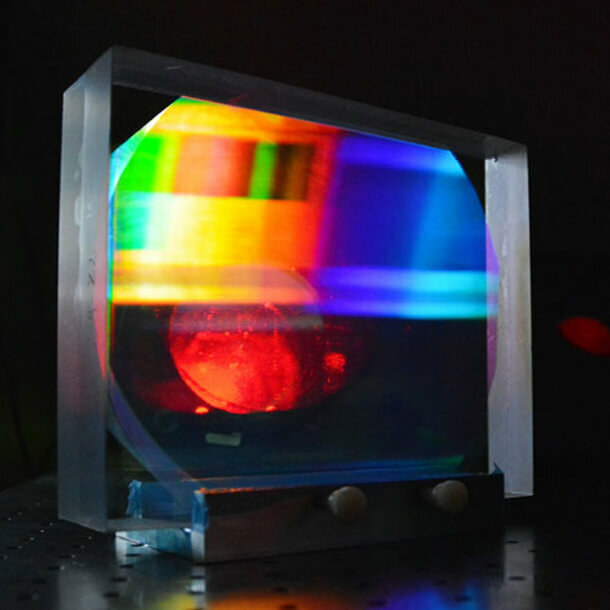 At Wasatch Photonics, we work with you from the earliest stages of your project, drawing on our multiple design technologies and experience to create high throughput medium- to large-format volume phase holographic (VPH) gratings customized to your astronomical spectrograph. Our robust, durable gratings provide the broadband operation and tunability you need for maximum flexibility, and years of performance you can depend on. We’ve developed and patented multiple design technologies to optimize VPH gratings for bandwidth, polarization insensitivity & transmission, adapting them to the needs of astronomy gratings through years of accumulated expertise in our on-site large-format imaging lab. Whether you’re studying chemical composition, distance, velocity, density, or temperature of celestial objects, we can create the gratings you need. 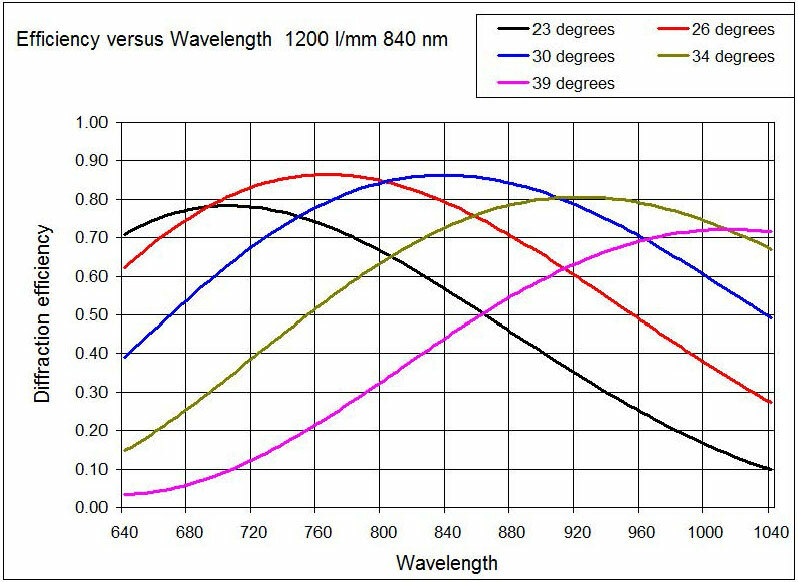 Transmissive VPH gratings operate on the principle of diffraction of light, allowing the grating efficiency curve to be “tuned” in center wavelength simply by varying the angle of incidence (AOI) for the study of different spectral features of interest. We can also design a series of gratings to overlap in wavelength, covering regions from 350-2500 nm with your desired dispersion. These approaches may also be combined, using multiple VPH gratings and tuning each individually to cover the full visible and/or NIR with very high resolution. At Wasatch Photonics, we understand the processes and metrology needed to manufacture & test high quality gratings for use in spectroscopic telescopes, and have contributed gratings for many multi-object spectrographs. Each individual VPH grating is an original, allowing us to customize its performance to your exact specifications. Our engineers personally oversee your gratings from design to shipment, providing dedication and focus commensurate with the scale of your project. Let our expert staff design and build the custom gratings you need for your multi-object spectrograph or astronomical telescope. Request a Quote for a Custom Grating.